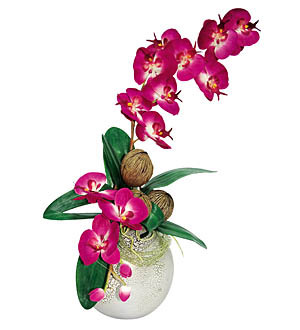 Spirited fuschia Phalaenopsis in a Kliba mango wood vase (18.5cm dia.) with gold etchings. Measures approx. 80cm.